About Pittsburgh Estate Attorney at Law - Richard J. Freyvogel, Jr.
Richard J. Freyvogel, Jr. was born on March 3, 1949 in Pittsburgh, Pennsylvania. He graduated from North Catholic High School in Pittsburgh before attending Duquesne University in Pittsburgh. He graduated from Duquesne in 1971 with the Bachelor of Arts degree in political science and commissioned as a Second Lieutenant in the US Army Reserve. He then worked several years for United Parcel Service before starting law school at Duquesne University. Mr. Freyvogel graduated from Duquesne with a Juris Doctor degree in 1977. During law school, he worked as a law clerk for the Law Offices of Robert Rade Stone. As a law student, Mr. Freyvogel was a member of the Appellate Moot Court Board and was selected a national member of the Order of Barristers for the Art of Appellate Advocacy. Following law school, Mr. Freyvogel began his legal career with the Law Offices of Robert Rade Stone engaged in the general practice of law. 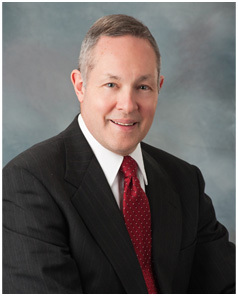 In 1996, he began practice as a sole practitioner concentrating in the areas of estate planning and estate administration. Mr. Freyvogel is admitted to practice in the Federal and State Courts in the Commonwealth of Pennsylvania. He has lived all of his life in the Brighton Heights area of the North Side of the City of Pittsburgh, and is an active member of St. Cyril of Alexandria Parish.